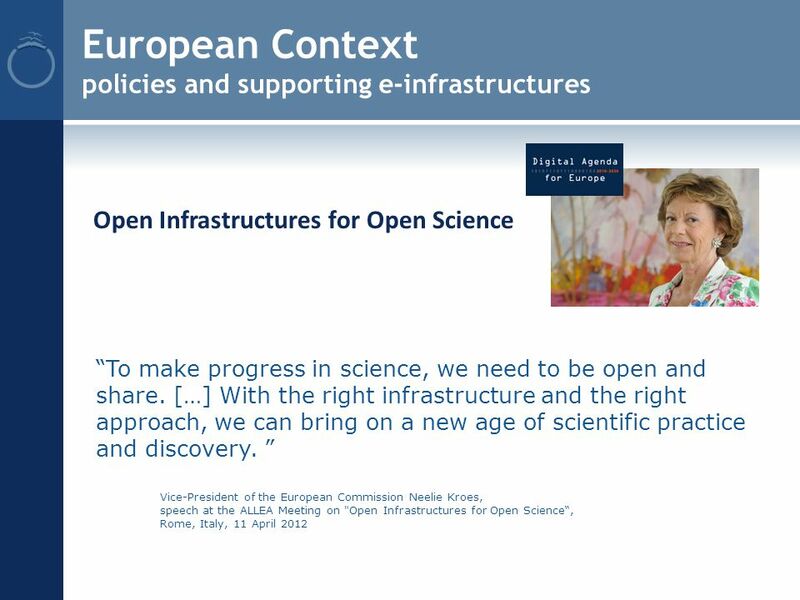 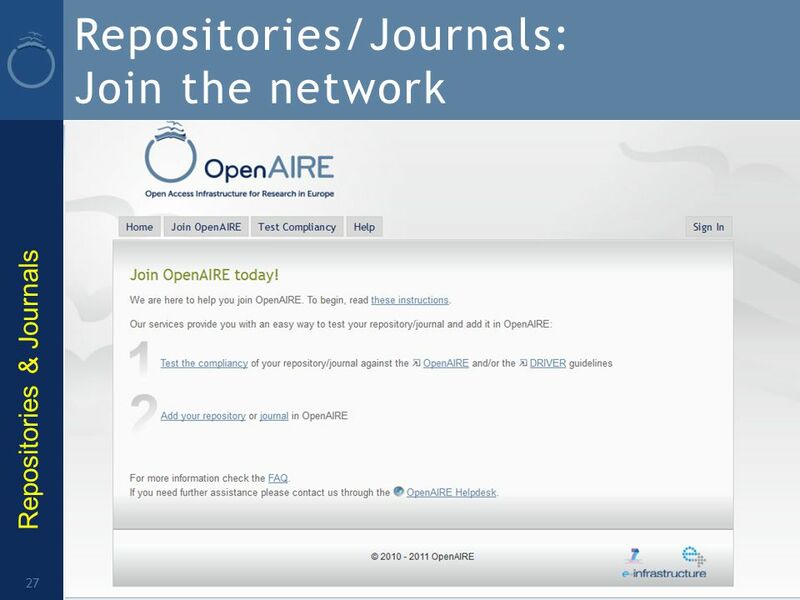 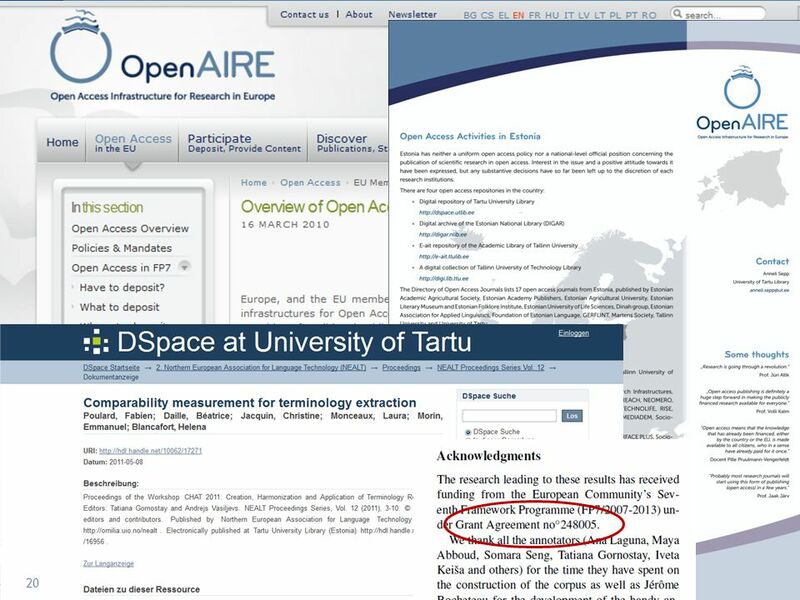 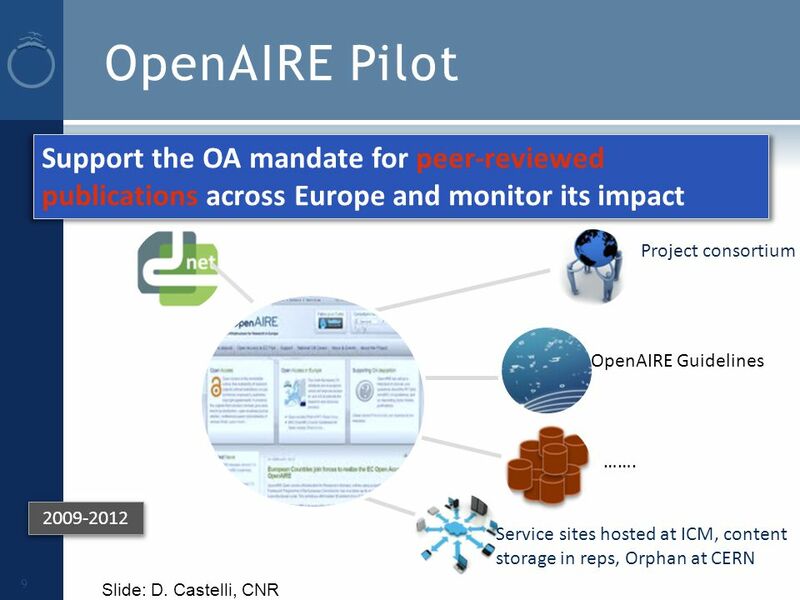 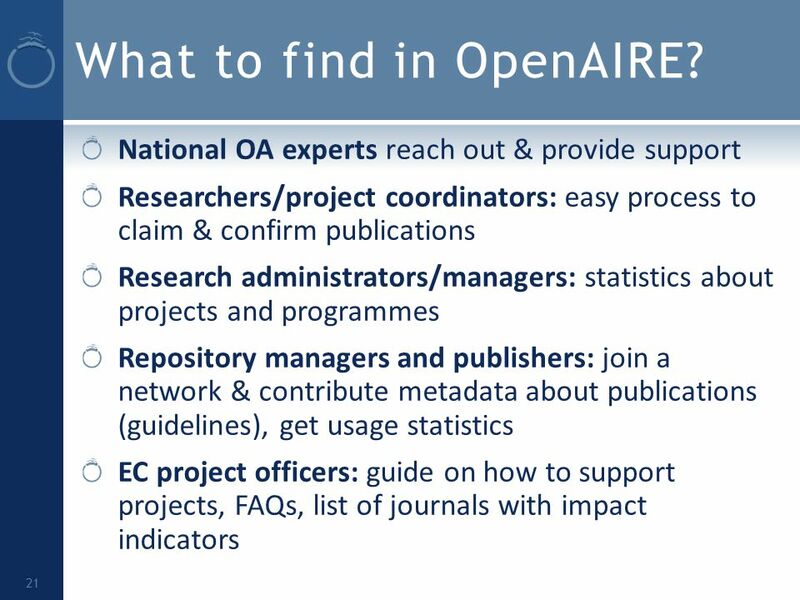 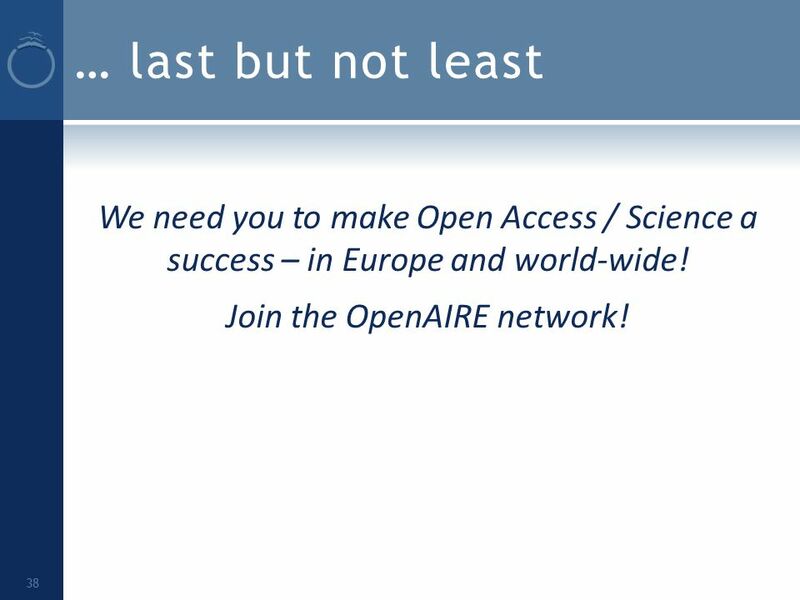 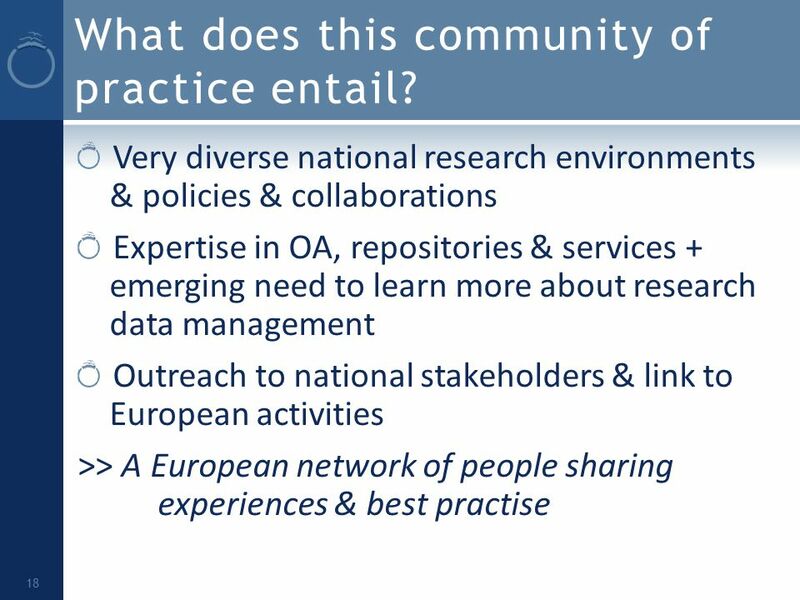 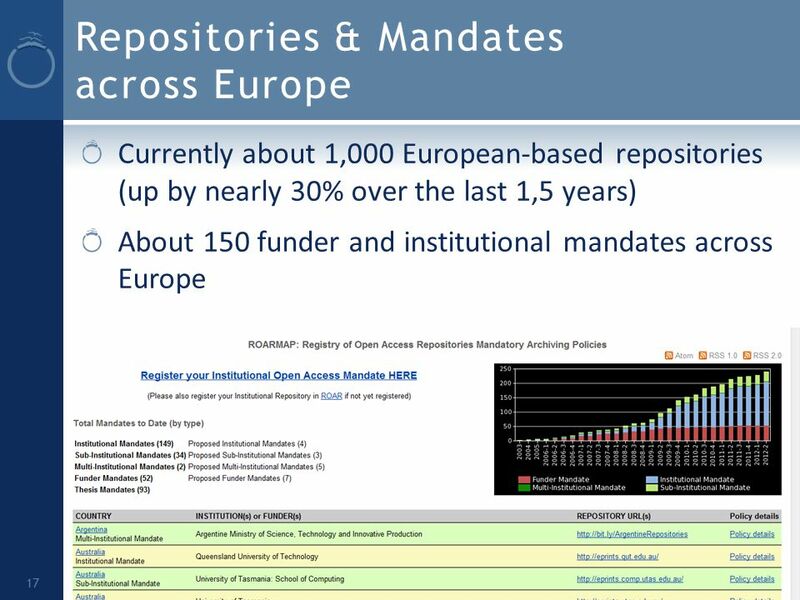 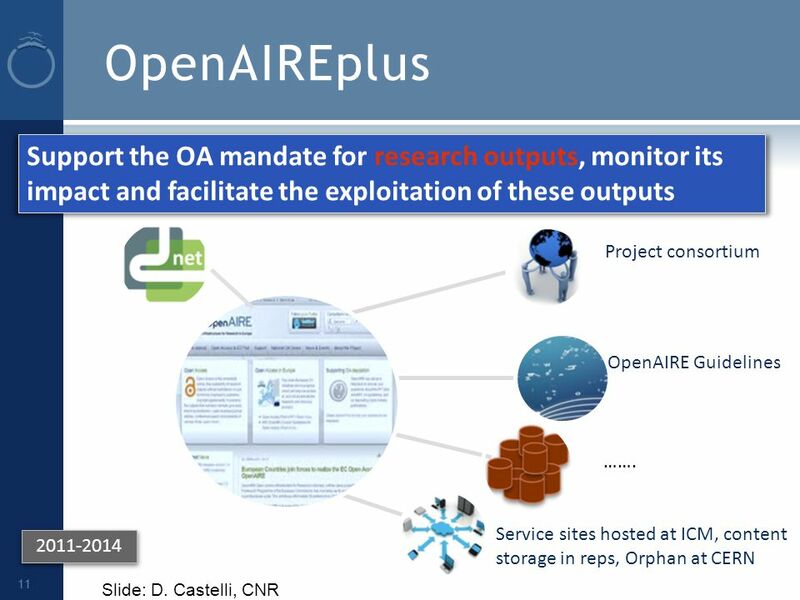 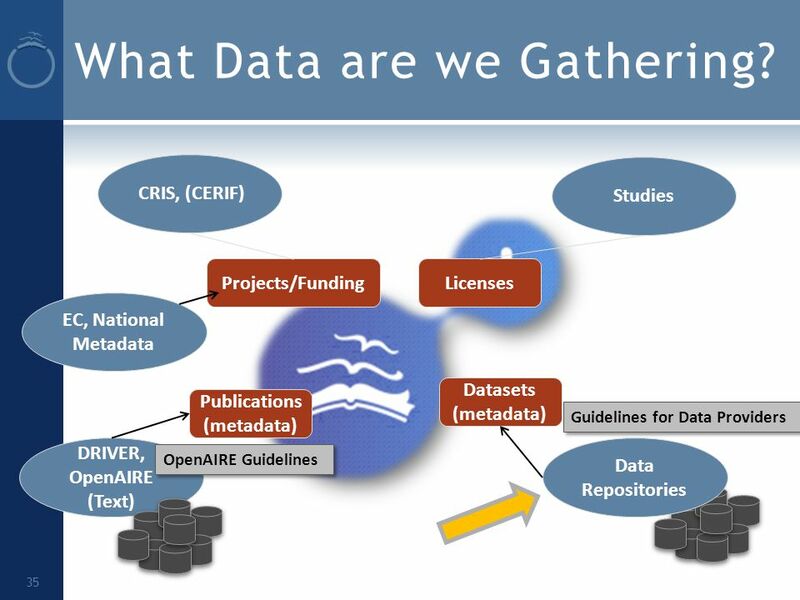 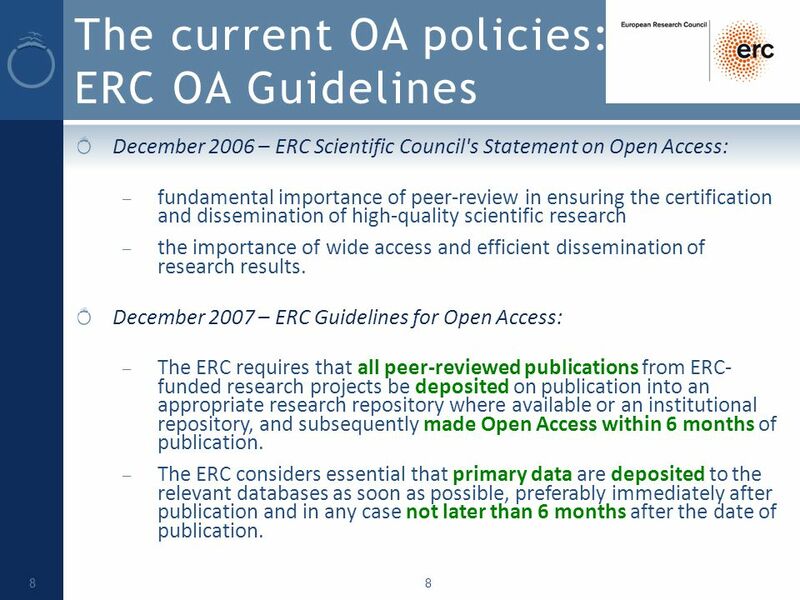 OpenAIRE – Building a Collaborative Open Access Infrastructure for European Researchers Dr Birgit Schmidt / Najla Rettberg Goettingen State and University. 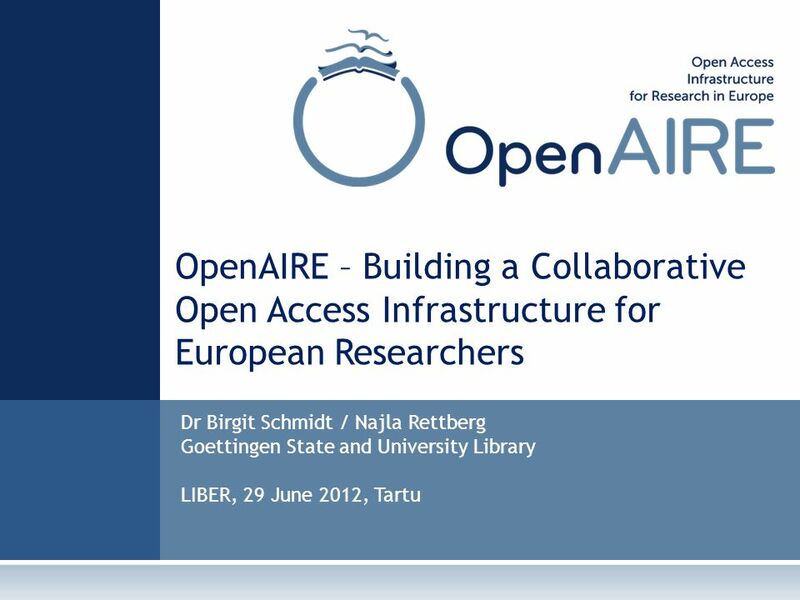 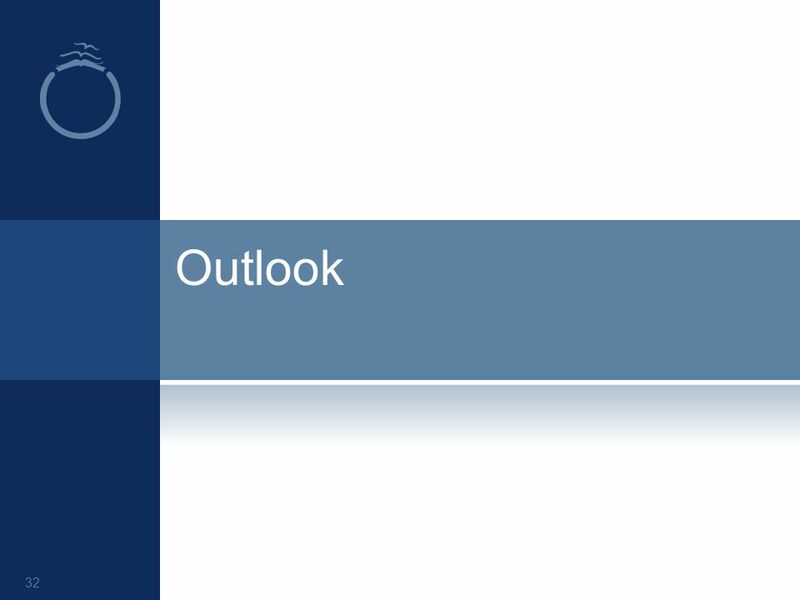 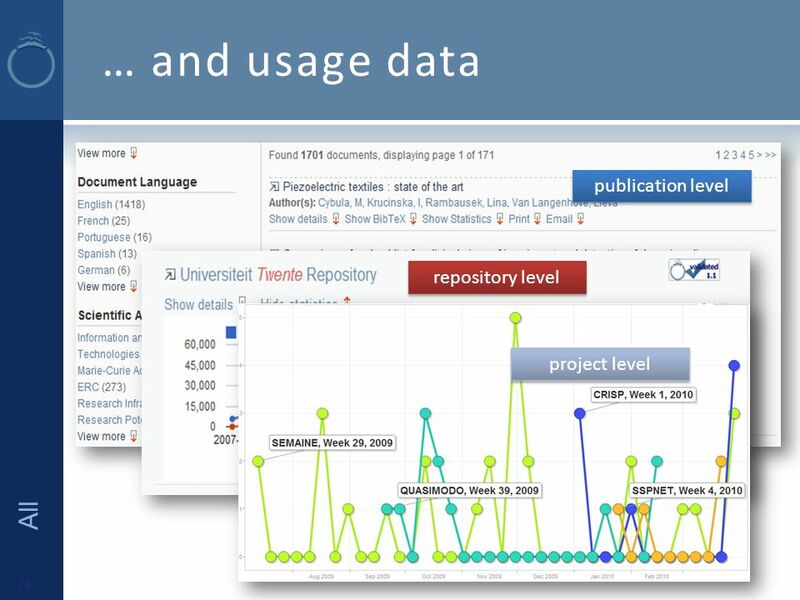 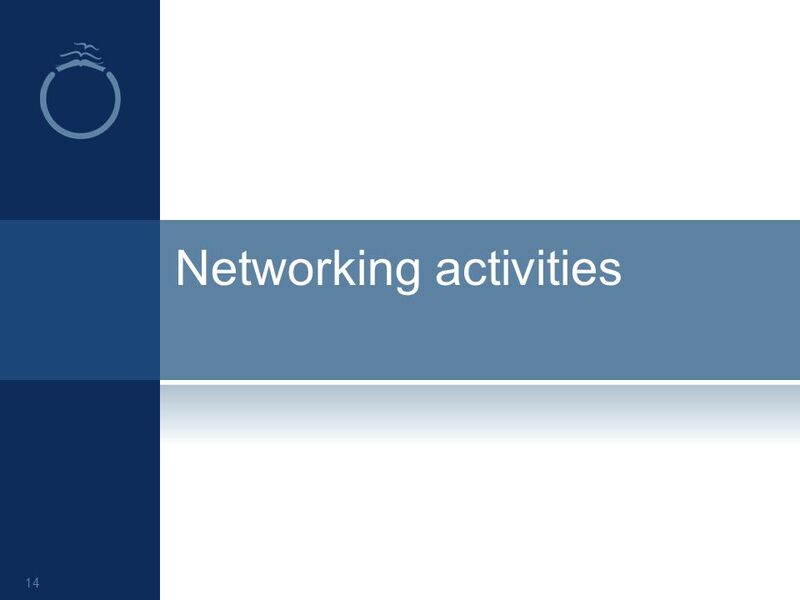 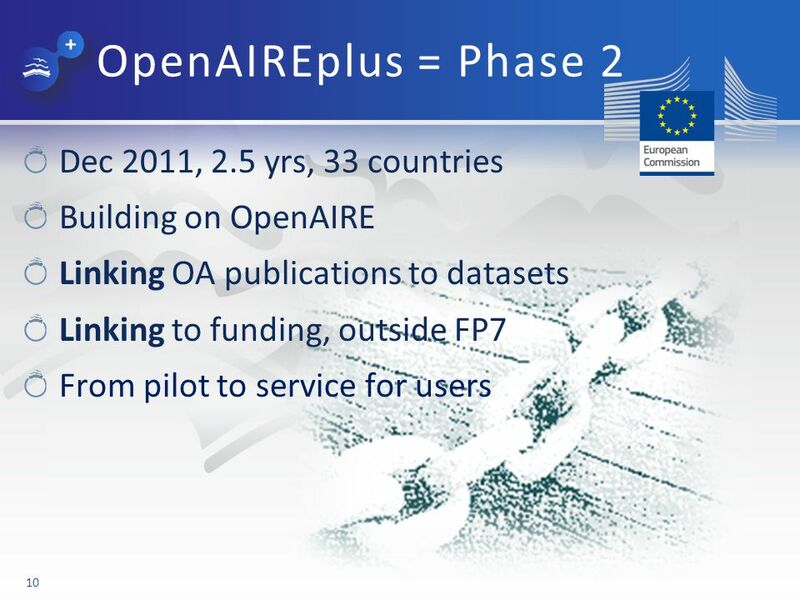 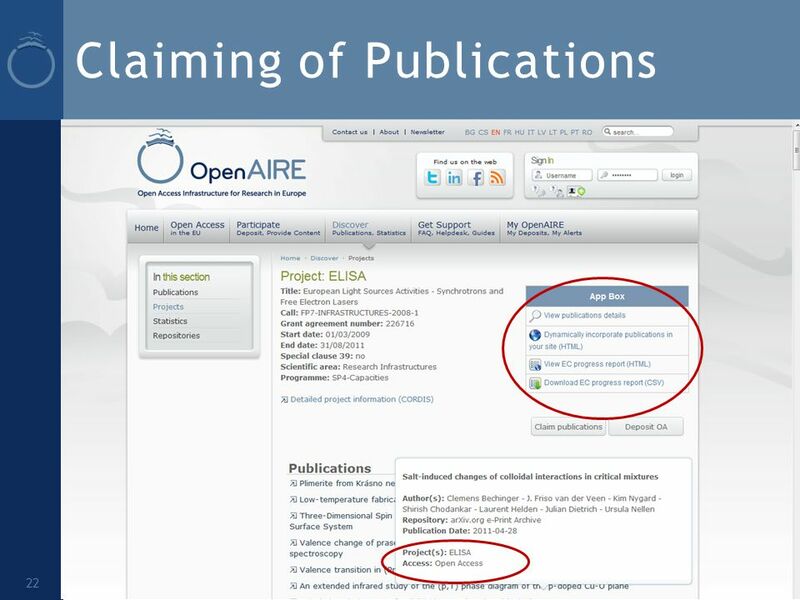 Download ppt "OpenAIRE – Building a Collaborative Open Access Infrastructure for European Researchers Dr Birgit Schmidt / Najla Rettberg Goettingen State and University." 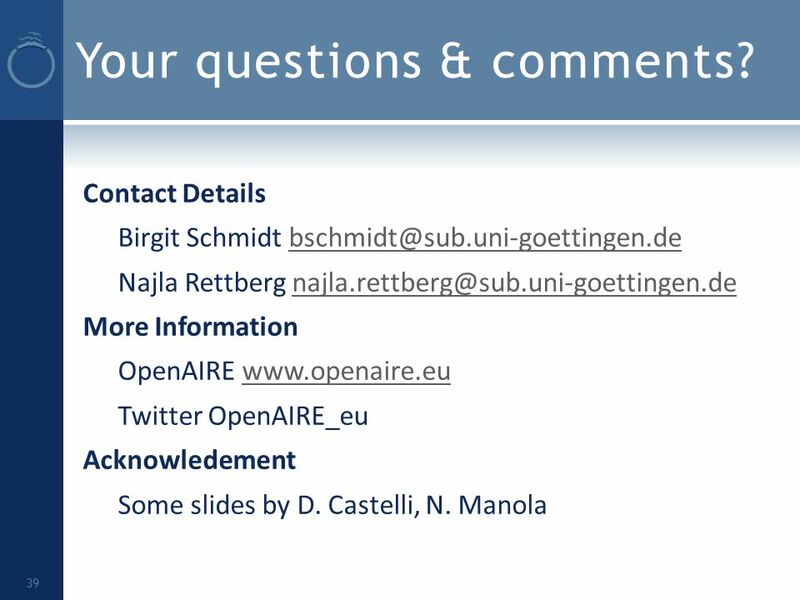 S 1 Core theme meeting 2013 European Commission mandatory requirements for scientists Chiara Bearzotti NACLIM project manager UHAM. 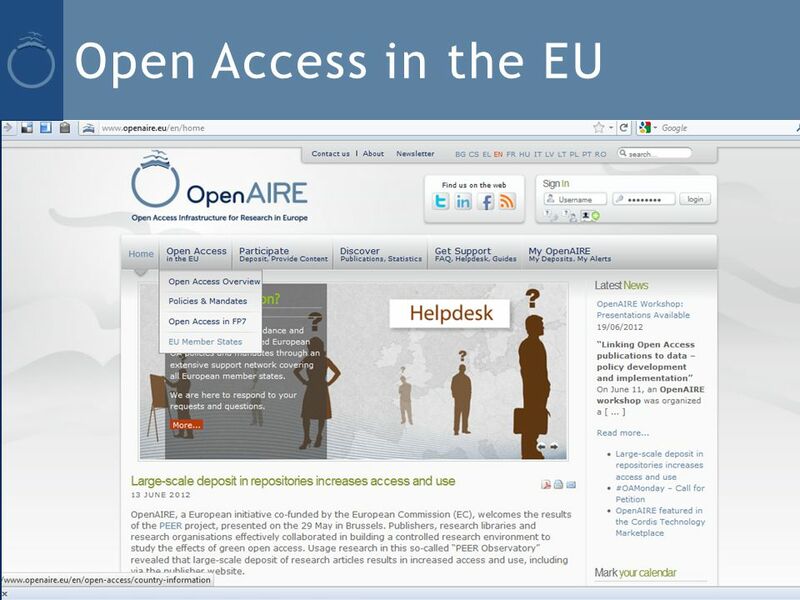 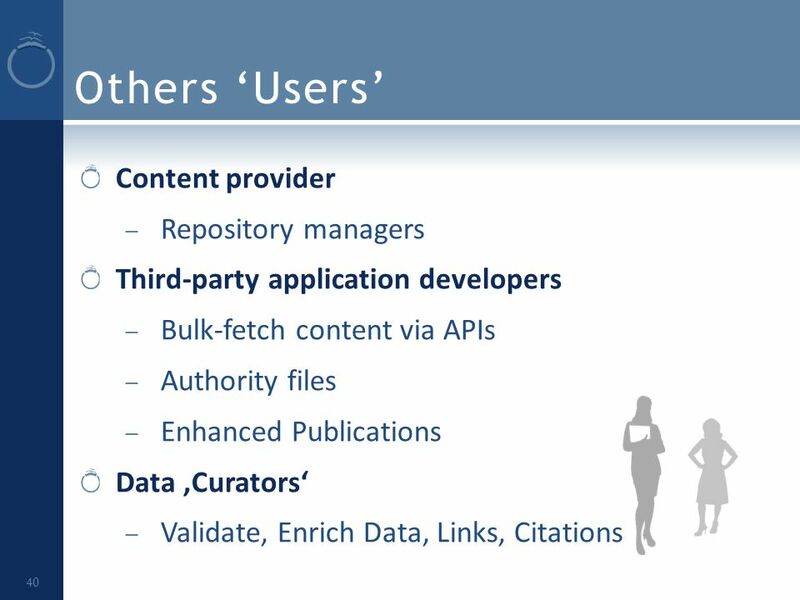 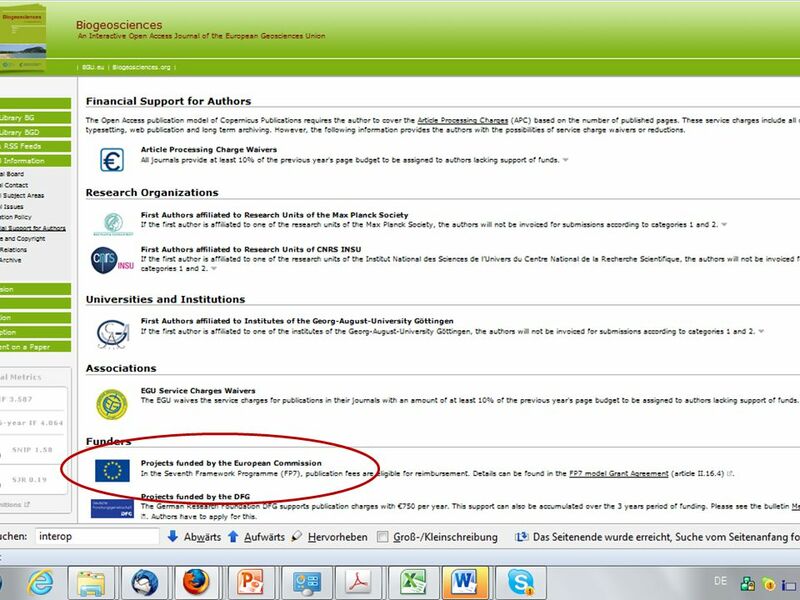 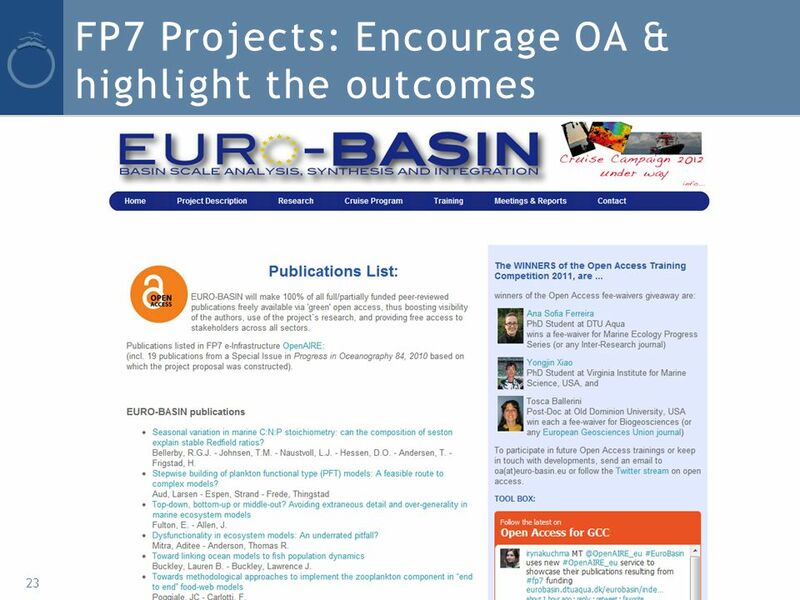 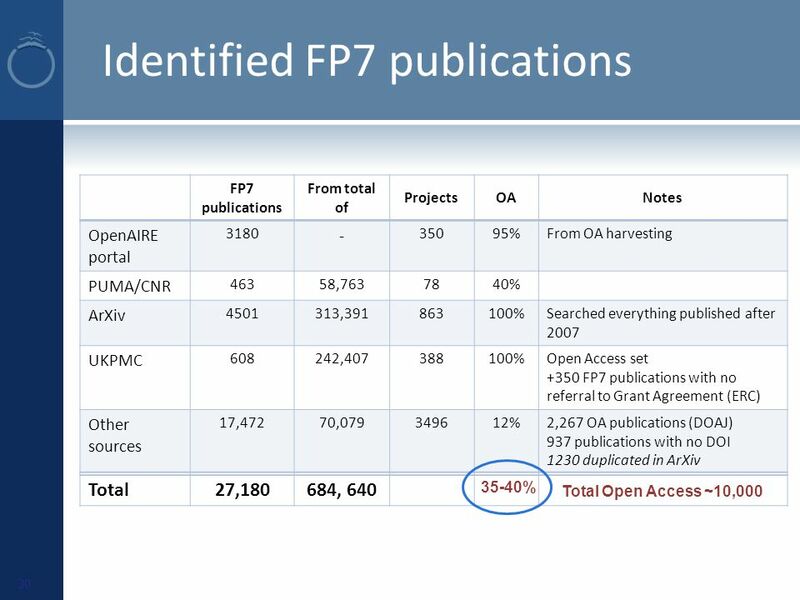 Opening access to European funded publications (FP7 & ERC) : the OpenAIRE project Alexandra Deniot– Couperin Consortium. 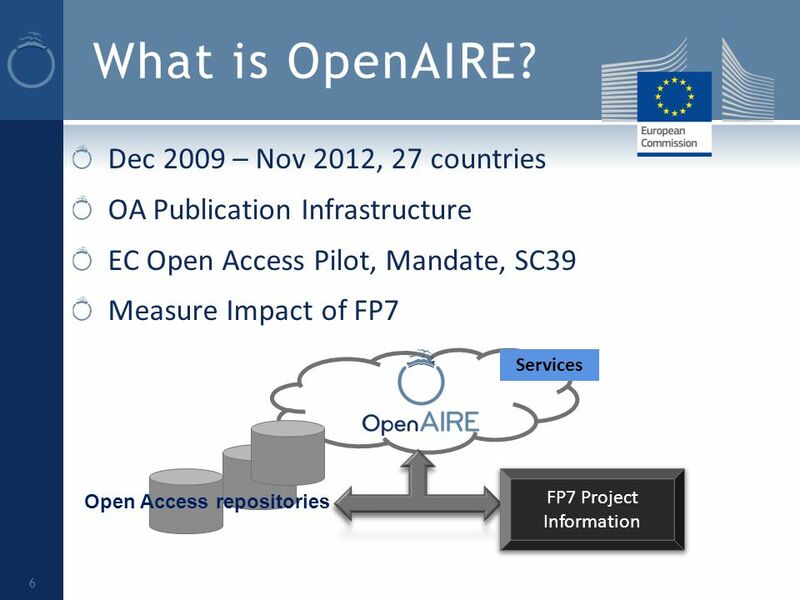 Jean-François Dechamp Open Access Policy Officer European Commission Directorate-General for Research & Innovation (DG RTD) 6 th December 2012 MedOANet. 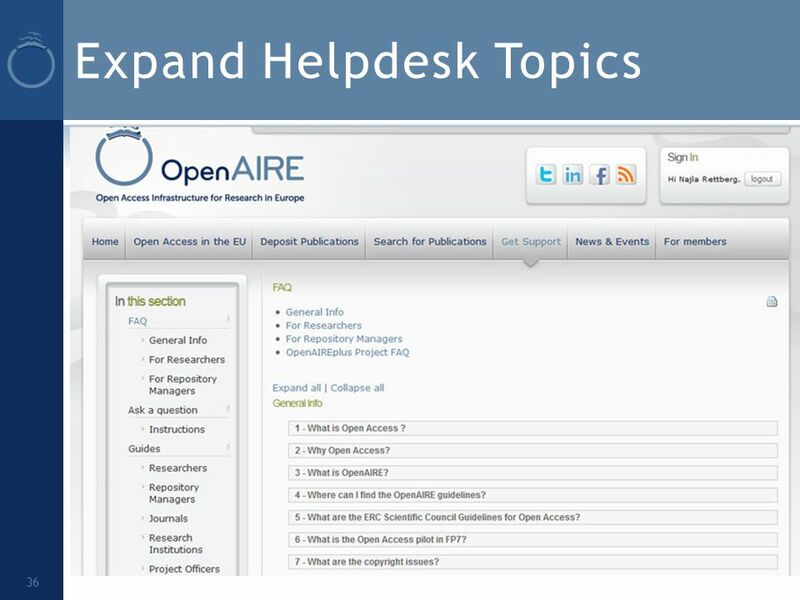 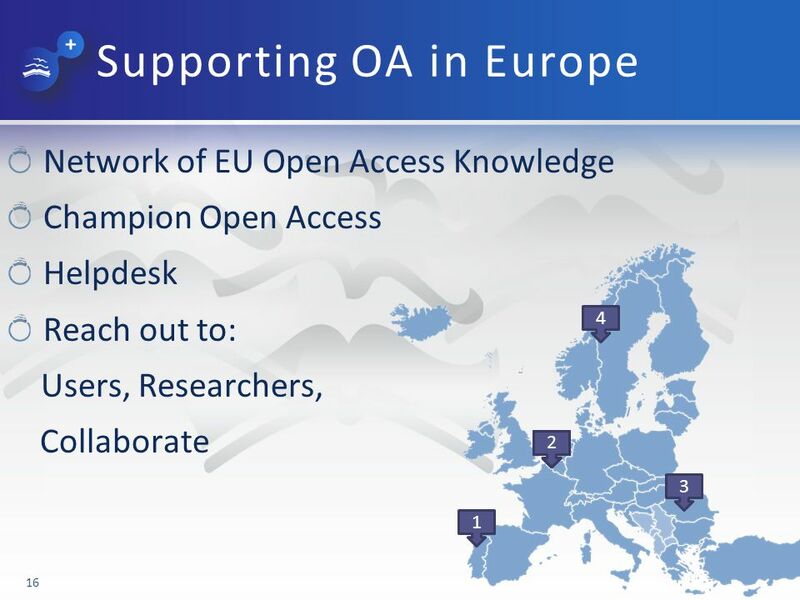 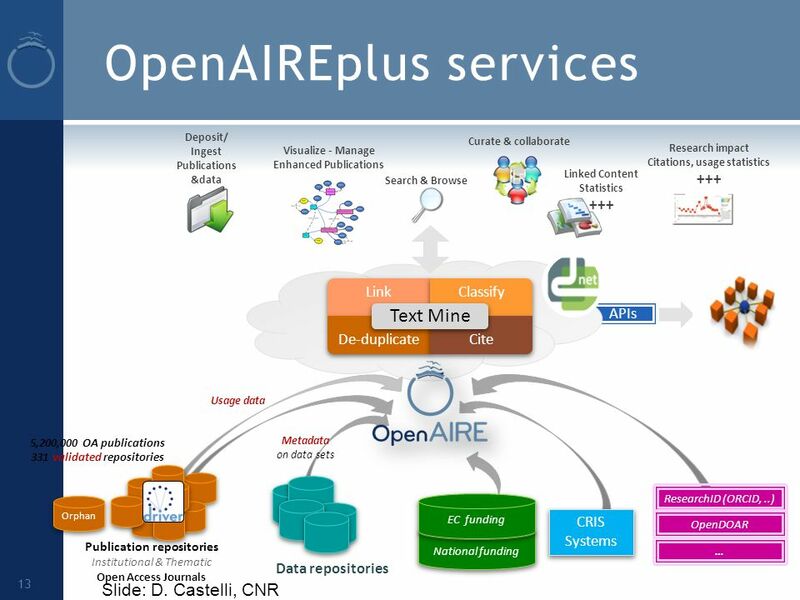 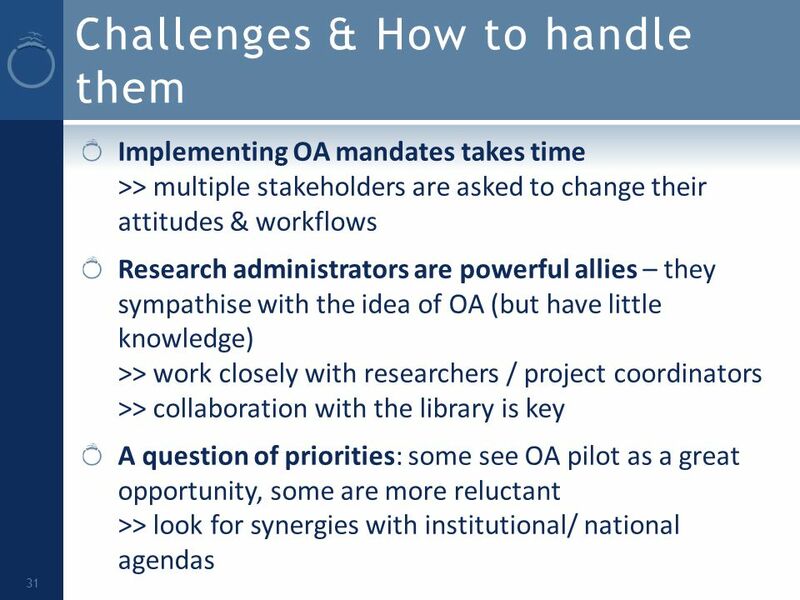 OpenAIRE: the European Scholarly Communication Infrastructure OCLC Research Workshop Libraries and Research: Supporting Change/Changing Support June 10. 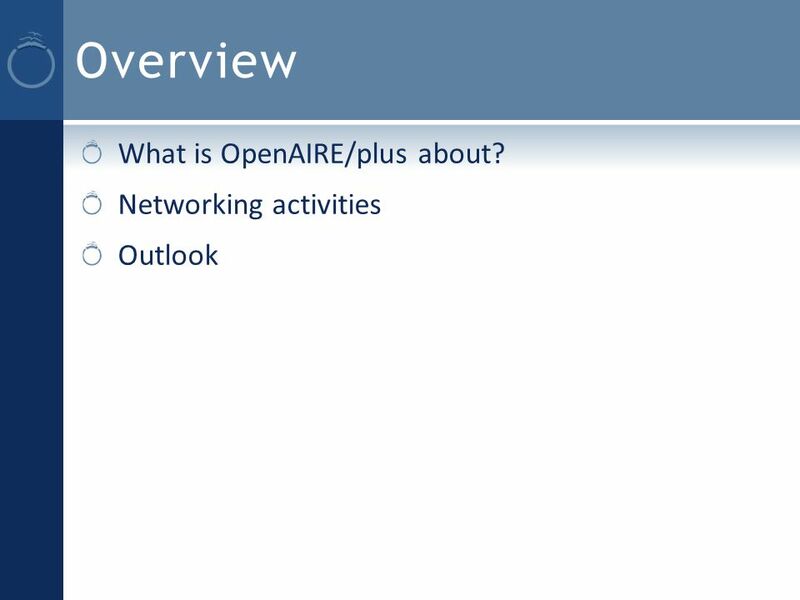 8 th euroCRIS Strategic Seminar, September 13 th – 14 th, 2010, Brussels | Mikael K. Elbæk, Technical University of Denmark Evaluation in OpenAIRE. 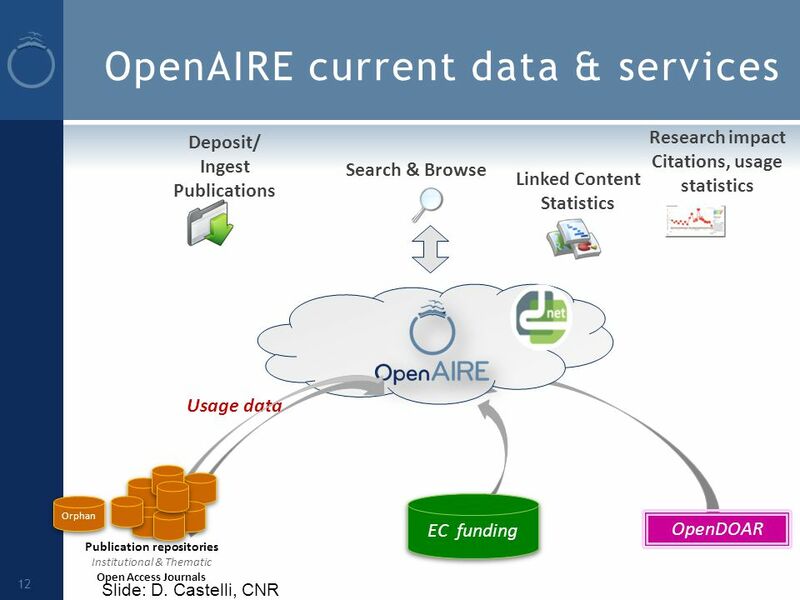 Interoperability scenarios between UKPMC and OpenAIRE Jo McEntyre, Wolfram Horstmann. 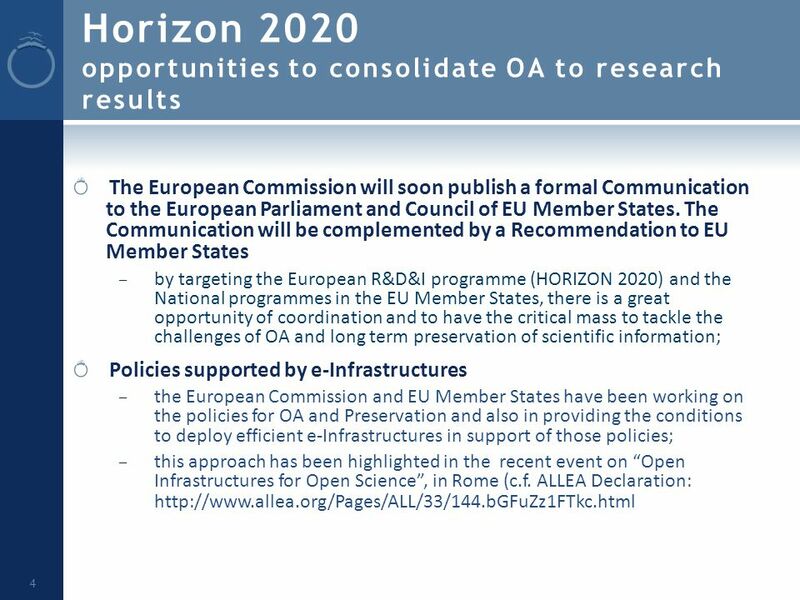 Opening up scientific information in Horizon 2020 David Guedj Senior Policy Officer European Commission DG Communications Networks, Content and Technology. 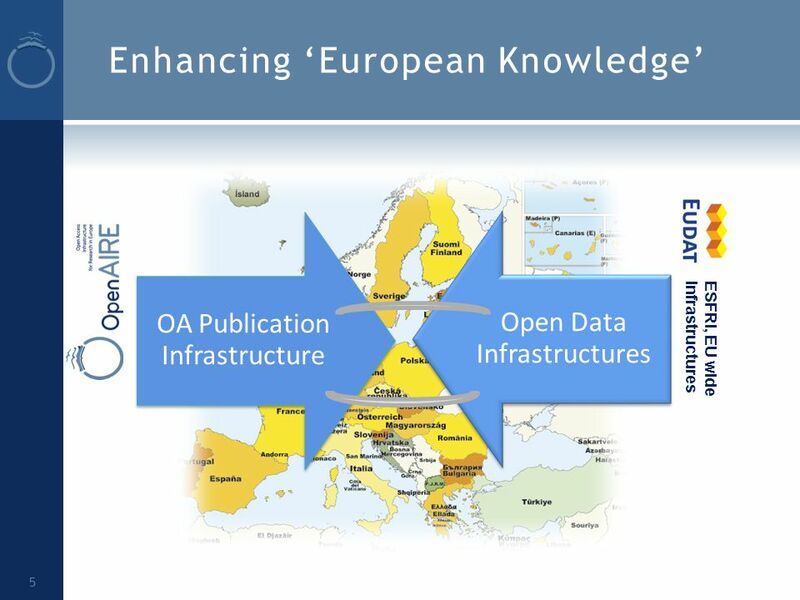 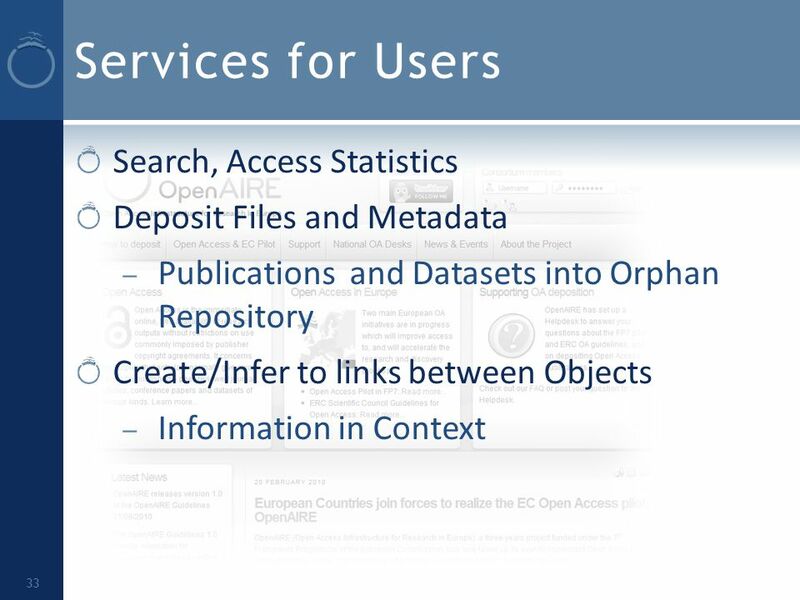 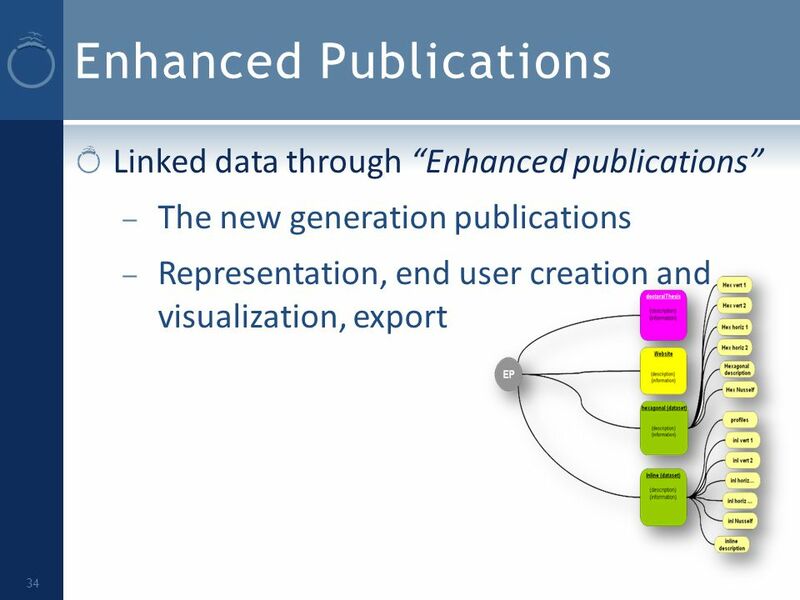 European Open Data and Access DuraSpace Summit Michele Mennielli Washington – March 11, 2015. 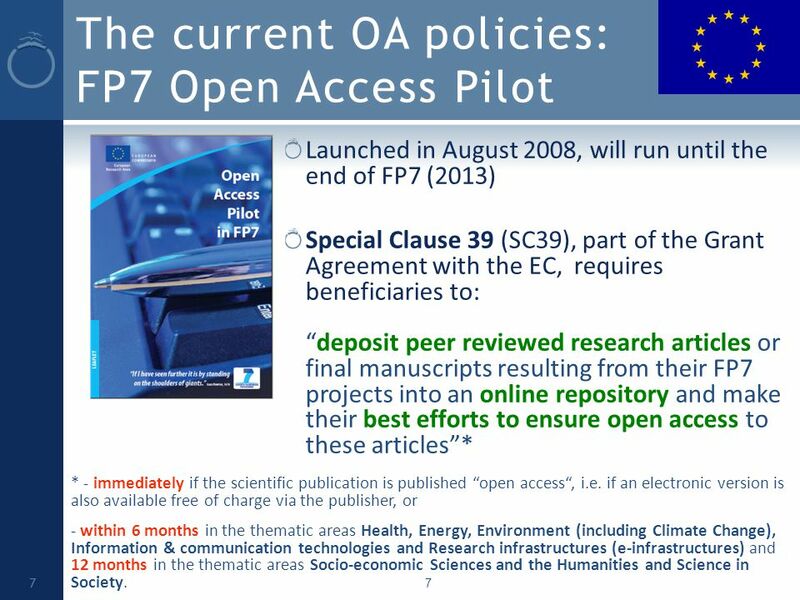 1 Celina Ramjoué & Francesco Fusaro, DG RTD L3 FP7 Grant Agreement Negotiations FP7-HEALTH-2010-single stage call 16 April 2010 Open Access in FP7. 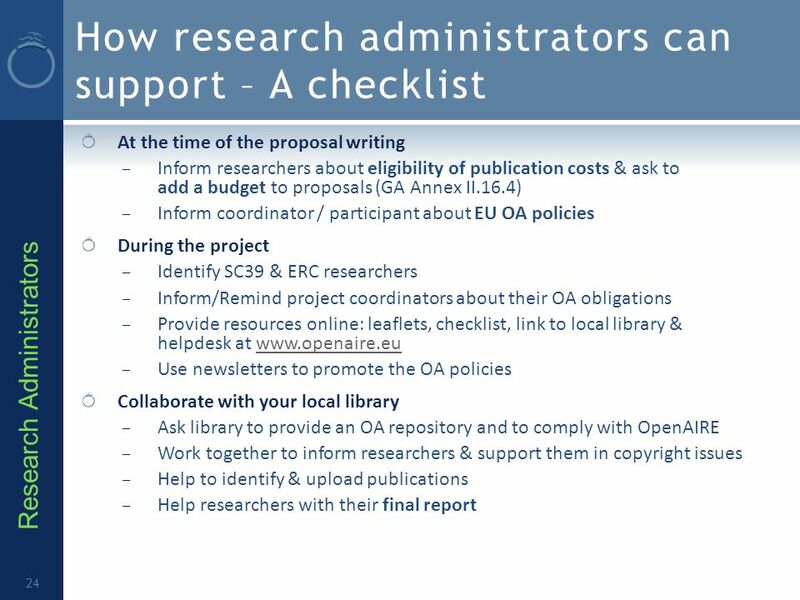 EnablingOpenScholarship Enabling Access to Research: Essential Aspects in Effective Policy Design for Research Funding and Research Performing Institutions. 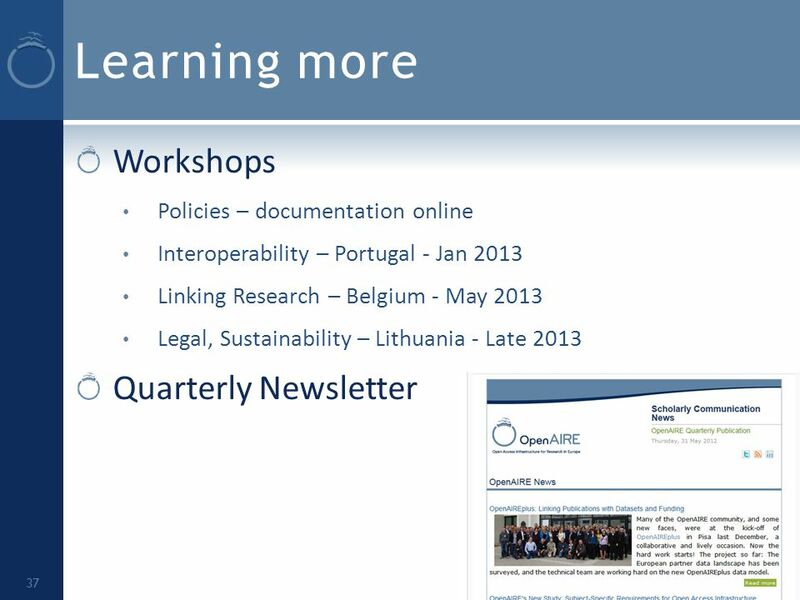 Enabling Open Scholarship Open Access policies in Europe in 2012 (so far) Alma Swan SPARC Europe Key Perspectives Ltd Enabling Open Scholarship Portuguese. 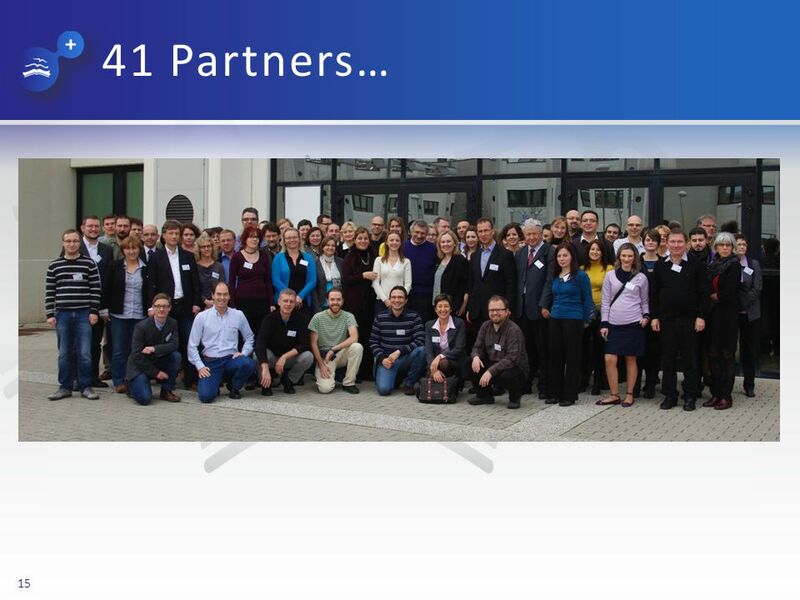 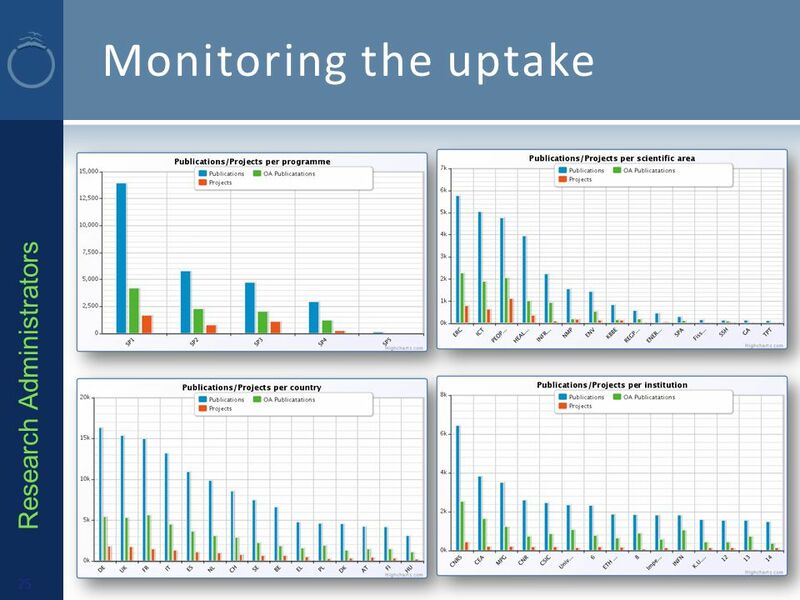 European network for Health Technology Assessment | JA2 2012-2015 | www.eunethta.eu EUnetHTA European network for Health Technology Assessment THL Info.